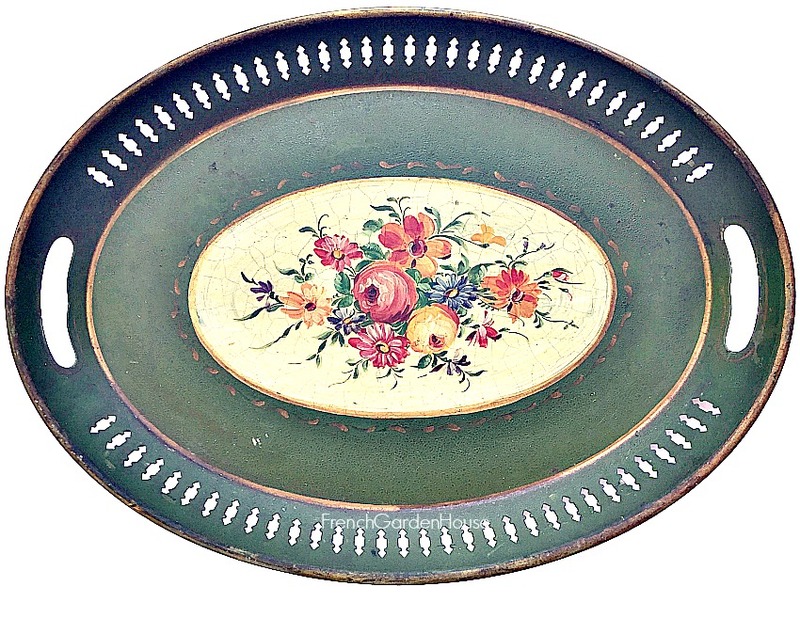 French Green Tole Peinte Tray, decorated with hand painted floral bouquet in the center featuring roses surrounded by daisies and other provincial garden flowers. 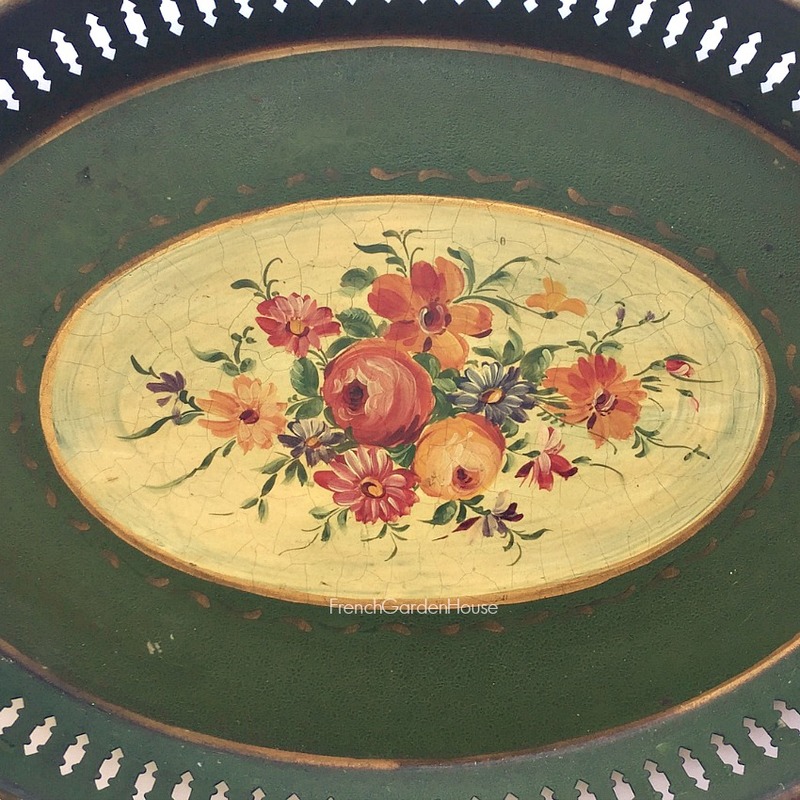 The tray is a dark green color, with a reticulated edge and hand painted gilt trim around the top rim and the cut out handles. Imported by Marshall Field's of Chicago, which was a luxury store founded in the 1880's. 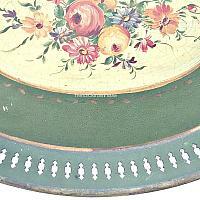 The flower colors are rose, pink, cream, blue, purple, green golden yellow and a hint of apricot. 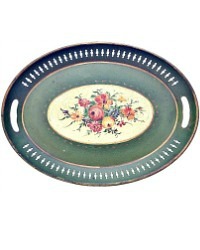 Exciting find, so collectible with the reticulated edge, the rolled rim, one of the heavier ones. 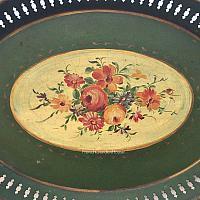 There is wear to the tray as is to be expected, "alligatoring" of the paint in places. 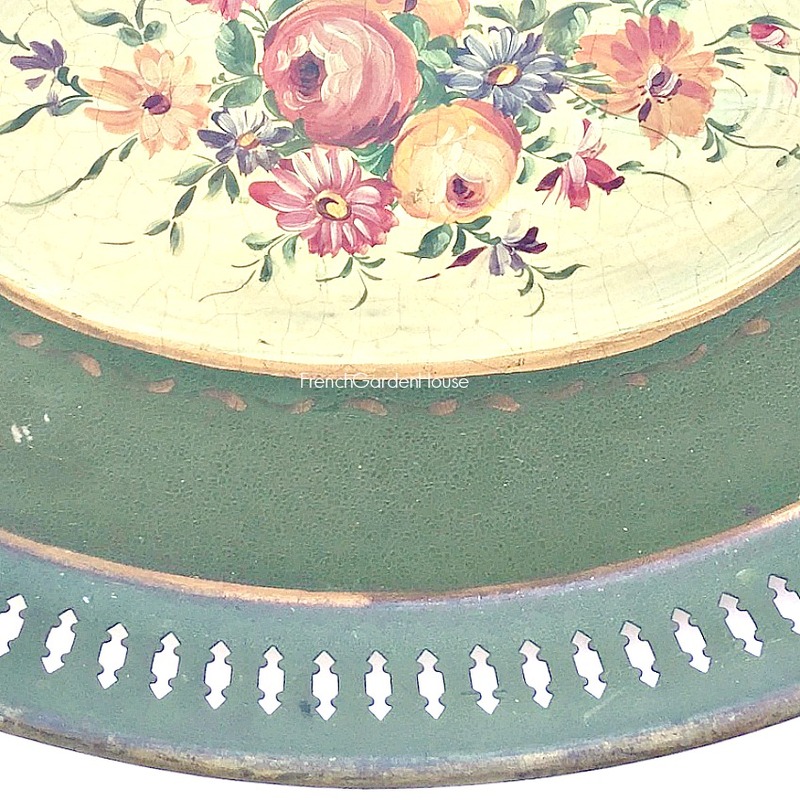 Display on your mantel, on your sideboard, with your collection of toleware in your library, or anywhere you are looking for a decorative piece of history to make you smile each and every time you see it. Measures 16" x 12" x 2".